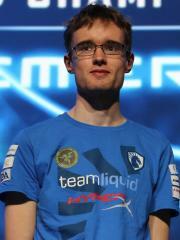 Patrick "Bunny" Brix is a Danish StarCraft II player. At present, Bunny is ranked #1139 in highest overall earnings, and #46 in highest earnings for players from Denmark. Out of the 68 tournaments awarding cash prizes that Bunny had competed in, the largest amount was $16,000.00 from Gfinity G3 (Starcraft II) on August 3, 2014. He placed 1st, making up 19.00% of his total prize money won.